After having Whirlwind Girl's An Yue Xi as the heroine, The Journey from Tonight is White 路從今夜白 finally confirms Chen Ruo Xuan as the male lead. He replaces Song Weilong who could no longer sign on due to scheduling conflicts that has likely stemmed from a certain Yu Zheng drama which started filming recently. It sounds like a win-win for both actors if you ask me. 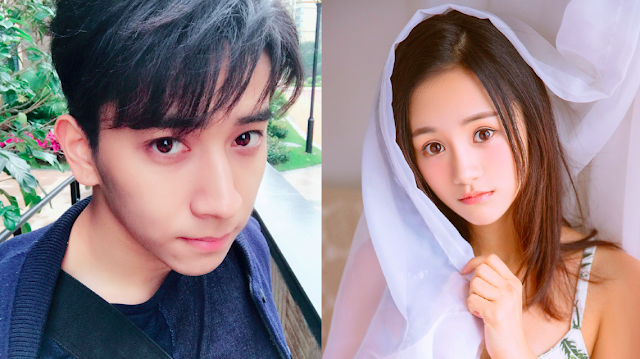 Chen Ruo Xuan has been reaching a wider audience after headlining the popular web series Evil Minds and it's nice to see him elevating to leading man status in a drama scheduled to appear on a major broadcasting network like Hunan TV no less. I haven't seen An Yue Xi in too many things and she's usually in a supporting role in the ones that I have seen but she brings such a bright energy that is easy to like. The story is adapted from a novel by Mo Wu Bi Ge 墨舞碧歌 about former college sweethearts crossing paths years after they broke up due to a misunderstanding.